Cindy MacFarland || September 04, 2018 TMG The Mortgage Group Atlantic Inc.
he Bank of Canada (BoC) meets this week and that’s always noteworthy for anyone keeping an eye on Canadian mortgage rates. While the Bank isn’t expected to increase its overnight rate, which our variable mortgage rates are priced on, market watchers will be looking for indications that it will raise at its next meeting on October 30. Right now, the futures market is assigning about a 75% probability that this will happen, but those odds have been coming down of late, and understandably so. In Chinese astrology, 2018 is the year of the dog, and it will go down as the year of uncertainty for the BoC. Our policy makers are trying to transition our economy’s main source of growth away from debt-financed consumer spending and towards business investment and export growth instead. Thus far, the recent mortgage rule changes and interest-rate hikes have been helping to rein in consumer-debt accumulation but ongoing trade uncertainty with the U.S. have been undermining business investment and export growth. NAFTA uncertainty has hurt our economy in myriad ways. 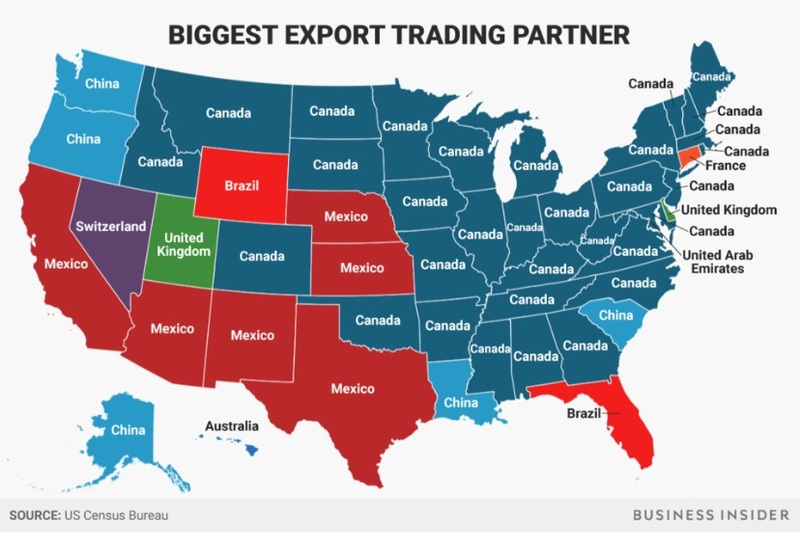 For example, it has made our exporters less confident about investing in productivity enhancements and expansion, and it has made multinational companies who operate on both sides of the 49th parallel more inclined to direct their incremental investment dollars to their U.S. operations. Bluntly put, until now, every additional delay on the NAFTA negotiations has hurt Canada more than the U.S. That makes sense when you consider that while we are each other’s largest export market, Canada sends about 75% of its total exports to the U.S., while the U.S. only sells about 18.5% of its total exports to Canadian markets. But now the tables have turned a little. U.S. President Trump is suddenly very keen to have a new NAFTA agreement finalized before the mid-terms. He needs a win on trade to reassure voters that he can deliver results, and thus far, with the exception of the recent agreement with Mexico, he has proven far better at picking fights than resolving them. I was heartened earlier this summer to see a Global News and Reuters survey showing that a majority of Americans approved of Justin Trudeau’s handling of a recent trade spat and that the strong majority disapproved of Trump’s approach (reasonable people can still find common ground). We’ll soon see how President Trump’s negotiating tactics play at the ballot box. I know I’ll be watching. The ongoing NAFTA uncertainty has given the Bank pause. With such a broad range of possible outcomes, it doesn’t want to lean too far over its ski tips for fear that it might need to sharply reverse course if the trade negotiations don’t pan out as expected. Thus far, that commitment to caution has probably helped to keep our mortgage rates lower than they might otherwise have been. Going forward, if Prime Minister Trudeau gives in to President Trump’s pressure to essentially sign on to the trade agreement that the U.S. just made with Mexico (without Canada at the table), everything would become more clear. Political repercussions and national outcry aside, any NAFTA resolution would give the BoC room to accelerate its rate hike timetable, something that it may well do over the near term if inflationary pressures continue to build. That said, this outcome appears unlikely. Prime Minister Trudeau has his own domestic politics to consider. He’s only thirteen months away from Canada’s next federal election, and he doesn’t want to appear to have been bullied into a bad deal, which many observers feel would be the case if we just signed on to the new U.S./Mexico agreement. A lot of what is being agreed is in the details, but, for example, Mexico has agreed to concessions on copyright-expiry changes and duty-free limits that Canada has ruled out in previous negotiations. More importantly, Mexico has agreed to abolish Chapter 19,and that is a hill that our policy makers appear willing to die on. Chapter 19 resolves cases where one NAFTA member is accused of dumping, or flooding a product into another member’s markets at a price that is below those offered by its domestic producers in its home market. Without such a dispute-resolution mechanism, the importing country would typically respond by slapping an extra duty (or tariff) on the product in order to raise the price. If the exporting country doesn’t agree with the decision, it would then likely respond by launching retaliatory duties. Discord would then ensue and that could eventually lead to a broader trade war. In practical terms, Chapter 19 helps level the playing field between a behemoth (the U.S.) and its much smaller trading partners. It was a sticking point in previous trade negotiations with the U.S. and it has proven effective for Canada when needed. For example, Canada and the U.S. have had disagreements over softwood lumber prices for decades and Canada has won most of the Chapter 19 cases relating to this ongoing dispute. More broadly, Chapter 19 helps provide a bulwark against unfair trade practices in so far as its existence discourages them from being undertaken. In the current context, Canadian policy makers are understandably reluctant to give up a formal dispute resolution mechanism with its largest trading partner at a time when almost all Canadians question whether the current president habitually acts in good faith. Those concerns were reinforced last week when he was quoted as saying that any deal with Canada has to be “totally on our terms”. At this point, I think our federal government will be inclined to let the NAFTA negotiations play out past the U.S mid-term elections. They can’t be in any hurry to validate President Trump’s my-way-or-highway approach to trade negotiations and we can all hope that the newly elected U.S. congress men and women who take office this fall will promote (and maybe even demand) a more collaborative (and less disruptive) approach to trade negotiations. In the meantime, expect President Trump to level all manner of threats against Canada, including his favourite, a 25% tariff on our automotive exports to the U.S. If the NAFTA negotiations do drag out as anticipated, expect the BoC to err on the side of caution – not to the point where it will allow inflationary pressures to rise unchecked, but probably to the point where short-term pressures will be allowed to play out for longer than they might otherwise. Now is a good time to remember that while the BoC’s official target for inflation is 2%, it allows inflation to fluctuate within a target range of 1% to 3% so that its monetary policy can account for broader factors (like trade uncertainty).